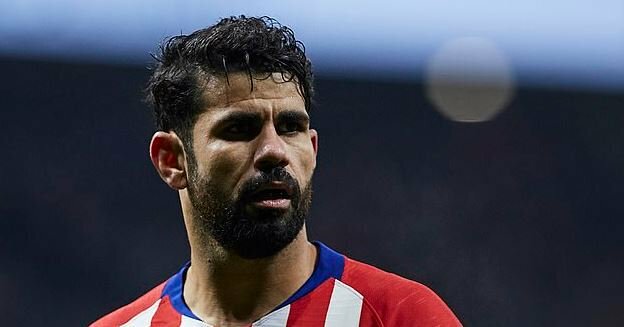 Has the door opened for a Diego Costa Chelsea return? Diego Costa can always return to bully Premier League defenders. If there was ever a love triangle between two clubs and a striker, it’s Chelsea, Atletico Madrid and Diego Costa. Costa loves playing in London and Madrid. In both cities, he’s a cult hero. Meanwhile, Chelsea and Atleti just love doing business together. For now, the repatriated Brazilian is a Rojiblanco. But if he wants a second crack with London's Blues, the door has been flung wide open. Chelsea and Costa were on the best of terms before Antonio Conte put them at a crossroads with a distasteful text message. For once and at exactly the wrong moment, the club backed their fiery manager. They let the striker twist while Atletico served a transfer ban. Costa endured four months away from competitive football plus the two weeks' wages docked for going AWOL. When he eventually completed his return to the Spanish capital, Costa voiced his regret in initially leaving. He heaped praise upon Diego Simeone while mocking Conte. He never lacked for ammunition. Costa's £60 million replacement was a far cry from his predecessor. Alvaro Morata began London life on a high but his understated attitude bled into his performance. He made no impact on the Premier League. With Morata perpetually fluffing his lines, Chelsea’s attack flatlined. They lacked a dominant presence upfront; one who could intimidate defenders and guarantee 20 goals per season. The Blues spent another £18 million on 31-year-old Olivier Giroud. Arsenal said, ‘thank you very much,' used it as a down payment on Pierre-Emerick Aubameyang and began scoring goals again. Long story short, the failure to replace Costa cost Chelsea a Champions League berth. It also cost Conte his job. At the Wanda Metropolitano, Costa powered Atleti to a Europa League triumph then scored twice to help them win the UEFA Super Cup. As reaffirming as his half-season with Atletico was, this campaign hasn’t been the rosiest for Costa. Nor for Chelsea. Both struggle to find goals. Despite Maurizio Sarri's positive philosophy, the Blues remain the least productive attack among the Premier League's top six. Costa hasn’t a scored for Atleti since their 1-1 draw against Barcelona in November. Even Morata performed better. That’s almost certainly why Atleti quickly negotiated with their London friends to sign Morata to an 18-month loan deal. Costa has had it rough with injuries this campaign. It’s been his undoing. The big man is currently out with a foot injury although he is nearing a return. Chelsea found it pretty difficult to coax goals from strikers who lacked a cutting edge. Maurizio Sarri put his foot down and signed Gonzalo Higuain despite the former Napoli forward being cup-tied. Even after hitting a remarkable brace on his Stamford Bridge debut, Higuain has complained of the ferocious nature of English football. Hopefully, he can learn quickly and help Chelsea finish among the top four. But Higuain is only an expensive temporary solution for Chelsea. The Blues hold the option to extend his loan deal for another year at £15 million or they can pay a £31 million buyout to make him a Blue permanently. He turns 32 in December. There’s also uncertainty regarding his form. His spell at Milan was far from productive. Clearly, he’s no longer the voracious goal banger he was five years ago. The same can be said for his new strike partner, Giroud. Neither is reliable. Chelsea need a forward who will deliver. They need Costa. As withering as his criticism was for Antonio Conte, he never stopped following Chelsea on Twitter or Instagram. The Blues hold a bargaining chip if they decide to rekindle their romance. Atleti will likely want to keep Morata. Something can be worked out. The Blues need him; Los Rojiblancos have seemingly replaced him. If he can pass the physical, what's the holdup?